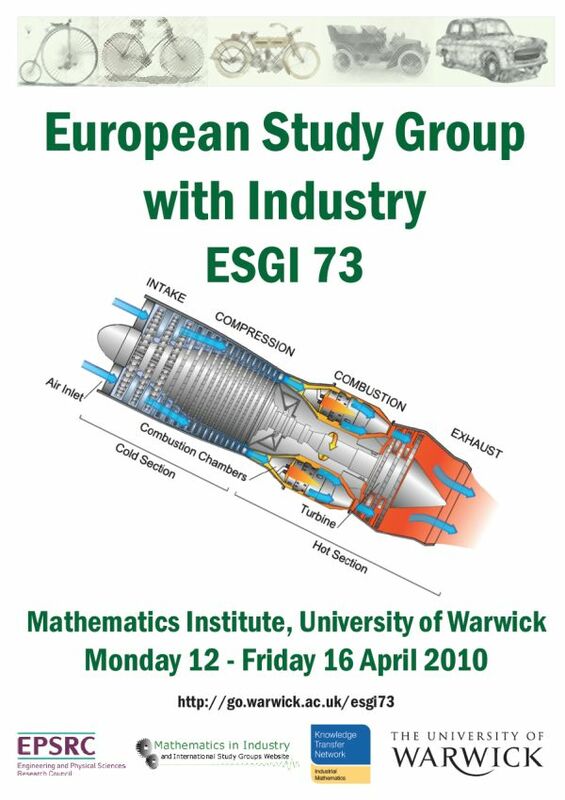 Another mathematical interest is industrial problems, starting with my first post-doc on spring coiling through my time at the Oxford Centre for Industrial and Applied Mathematics (OCCIAM), and continuing with my involvement at European Study Groups with Industry (for which I was a local organiser for ESGI 73). 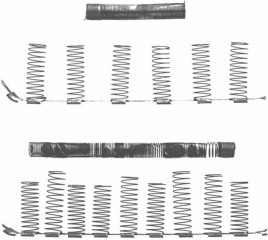 Within the spring coiling industry it can be quite typical to discard 5-10% of production due to springs being beyond tolerance levels, for a production run of tens of thousands of springs this can amount to considerable waste. The first way to reduce this waste is to begin with the best quality wire for coiling, but two seemingly identical drums of wire could produce wildly differing results. This is where the Fracmat (FRACtal MATerials) project came in, using techniques for analysing chaotic time series to produce quality control measures which became invaluable for the industry in the UK. The success of this project led to a follow up, Dynacon (DYNAmic CONtrol), which attempted to use current chaotic and fuzzy control techniques to improve on the industry standard in-line control techniques which were implemented in environments with high levels of noise. A summary of these two projects appeared in a special edition of the Journal of Mechanical Engineering Science (Wood 2006). 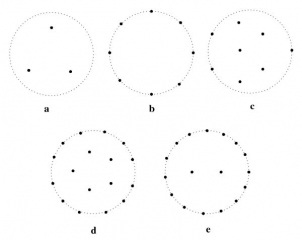 Hydrophones are essentially directionless underwater microphones used to detect anything from fish to submarines, in order to be able to detect the direction that sound is emanating from they are placed in arrays of up to 20 hydrophones and then there is a neat method for”steering” them towards the sound that is of interest. 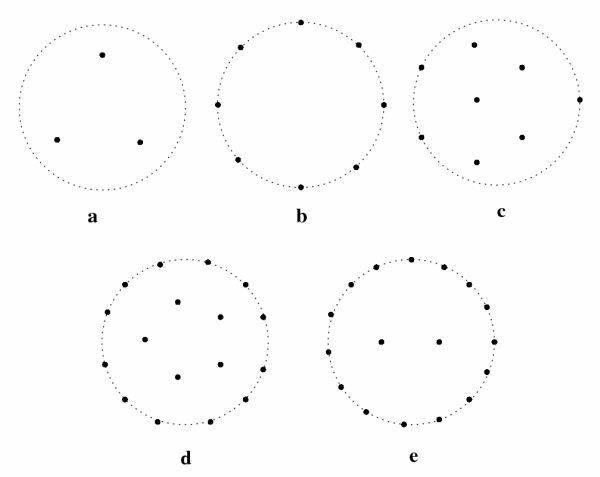 The question is how to place them within this array (see figure below). 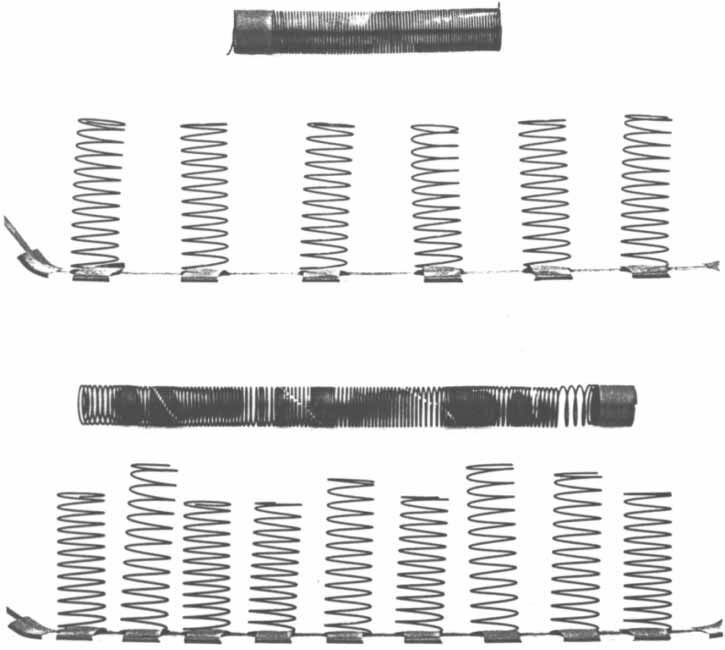 D. Wood, Making Better Springs Using Aspects of Chaos Theory, Journal of Mechanical Engineering Science 220, pp 253-269 2006. D. Wood, D. Allwright, Optimisation Of Hydrophone Placement: A Dynamical Systems Approach, European Journal of Applied Mathematics 14, pp369-386, 2003. This website is the personal blog of Dr. David Wood, and as such does not necessarily reflect the opinions, or policy, of his employer, the University of Warwick, the Warwick Mathematics Institute, IGGY, Warwick in Africa, Barr’s Hill, The Future’s Trust or any other organisation to which he is, or has been, affiliated. Powered by WordPress and Tempera theme by Cryout Creations on a Vidahost server.